An iconic setting for unforgettable events, The Bristol offers a historic ballroom and several boardrooms to accommodate any occasion. With nearly 3,800 square feet of flexible space, our versatile downtown venue is an impressive setting for weddings, meetings and special events. Our private rooftop lounge provides additional space and catering is available through our culinary team. Celebrate the special moments of your life in a romantic setting, surrounded by family and friends. Special occasions include bridal showers, rehearsal dinners, wedding receptions, day-after brunches, and honeymoon suites. A stylish boardroom and sophisticated spaces are sure to set the tone for important business meetings to transpire. Events include corporate retreats, award ceremonies, training seminars, product presentations, and conventions. 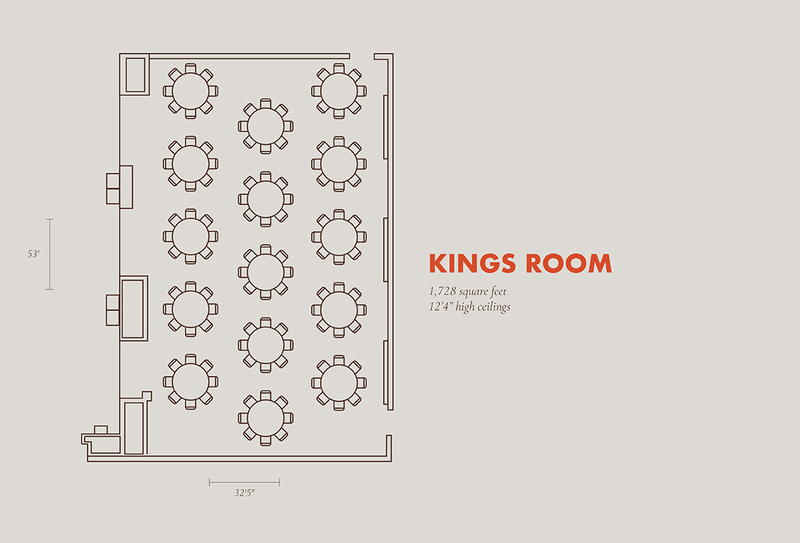 Our unique and historic venues promise to impress your guests, no matter the occasion you're celebrating. Social events include birthday parties, anniversaries, baby showers, family reunions, and fundraisers. Enhance your business meeting, wedding reception, or social soiree with scratch-made cuisine and hand-shaken cocktails from Vivian’s Table. Our in-house eatery offers a variety of ways to create a customized menu, and our Executive Chef and culinary team aim to please. 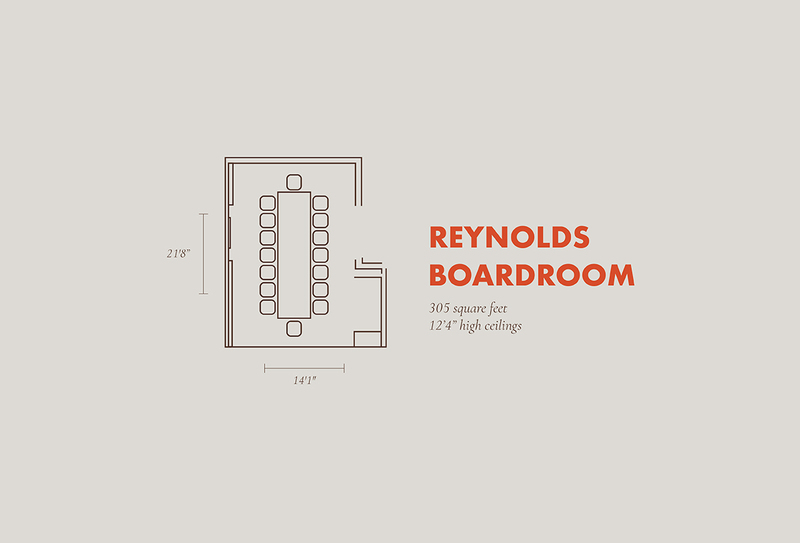 Whether it’s an executive retreat, team-building workshop, or industry conference, the Reynolds Boardroom provides an intimate space to spark ideas between business associates. Soft ambient lighting, sparkling crystal chandeliers, and spectacular architectural accents greet guests in the King Room, our most spacious and versatile venue for special events. 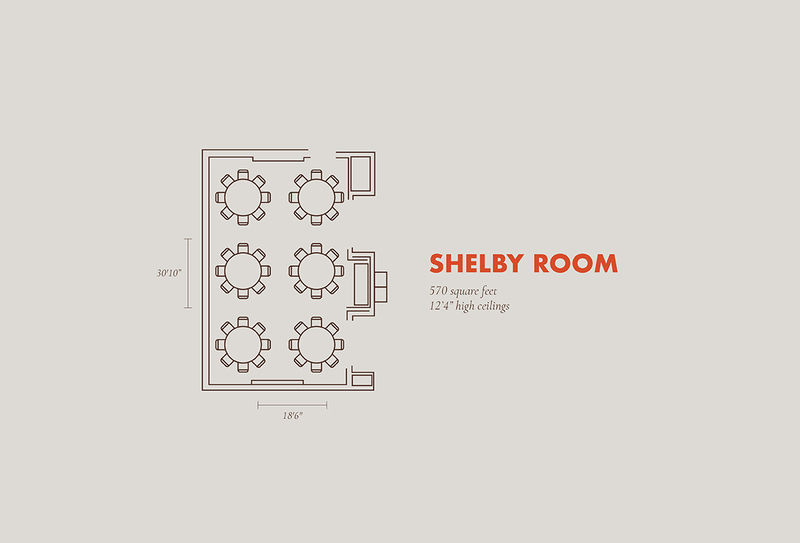 Coupled with custom catering from Vivian’s Table and a pre-function foyer, the elegant Shelby Room is ideal for smaller seated receptions, classroom style lectures, and family functions.